We have stepped into the year 2016 with a bunch of new resolutions. Keeping the ever-rising medical costs in mind, one of your many resolutions ought to be safeguarding health of your family members and yourself. To acquire a financial protection from medical expenses you need to avail health insurance plan online. But, how will you understand which type of medical insurance cover is ideal for you and which health insurance plan will meet your needs perfectly? To ease your quest to find the best health insurance plan in 2016 in India we have come up with a list of 5 best health insurance policies in all categories. The very first thing you need to do is understand what type of health insurance plan you need. Health covers can be classified in four categories. 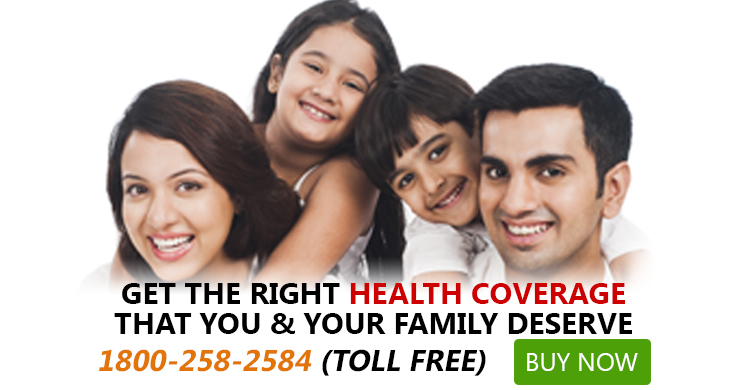 A health insurance provider in India offers the following type of health covers. Individual health insurance plan: The individual mediclaim policy covers only the policyholder. The insured person is the only one to enjoy the benefits of the coverage on offer by the individual medical insurance plan. Family floater health insurance plan: A family health plan provides coverage to multiple members of one family. You can pay just one premium for a specific sum assured in a year and protect the health of your whole family. Senior citizen health insurance policy: Senior citizen health insurance plans are essential for those who have already retired and live on savings and pension. Any medical emergency can make a dent on their savings. So, a comprehensive senior citizen mediclaim insurance policy is a must for them. Critical illness health insurance policy: Critical illness insurance cover protects you against severe illnesses like cancer, stroke. The policy covers massive medical costs and also provides lump sum compensation. You have to choose any one the above-mentioned categories. Regardless of which type of health insurance plan you opt for here is a list of top health insurance policies from all categories. Let’s start with individual medical insurance policies. If you think an individual health plan will serve your purpose best, you can select any health cover from the table below. The table reflects best individual health insurance policies in India in terms of premium and incurred claim ratio. The premiums are for a 35 year old person who wants coverage of Rs. 5 lacs sum insured. And, incurred claim ratio is the ratio of claims incurred by insurance company to the premiums earned by insurance company. While an individual Mediclaim policy covers only the insured, a family floater health insurance plan offers coverage to the entire family. So, if you have a family to look after your best bet is a family floater health insurance plan. By availing a family floater health policy online you don’t have to buy individual Mediclaim policies for every member of your family which will cost more. The premiums are determined for a family consisting of a couple and two children and the age of the most senior member is 35 years old. The sum insured amount for the whole family is Rs.10 lacs. One downside of an online family floater plan is you cannot renew the plan once the senior most member of the family attains the maximum age for renewal. The years after retirement are more likely to trigger diseases and ill-health. If you have senior citizen parents you should choose from the best health insurance plans to protect your elderly parents. All the premiums mentioned below are applicable for a senior citizen who is 66 years old (without any existing disease) and for a sum insured of Rs. 10 Lacs. A comprehensive senior citizen health insurance plan provides the peace of mind and much-needed financial protection for senior citizens during their twilight years. In this age of changing lifestyle, a critical illness is not a distant possibility even for a fit and healthy person. The instance of serious illnesses is widespread these days which is fatal as this could lead to income loss and permanent disability. The financial trouble could be lot more harsh than what a regular health insurance policy can cover. To remain on the safer side you should avail a critical illness insurance policy to cover your lump sum medical cost. The plan further offers a large amount of money as compensation to meet your everyday expenses. Critical illness Insurance plans provide the necessary financial back-up to those people who don’t have savings to afford the treatment of a serious illness. In essence, when it comes to protecting your and your family’s health you can avail any of the above-mentioned health insurance plans online for complete protection and peace of mind. In this blog, I have discussed the best Mediclaim insurance online plans that fared well in 2015 and are expected to rock the year of 2016 as well. The compilation of the best health insurance plans in India will hopefully serve you as a useful guide so that you can select a good health insurance company and choose the best health insurance plans in India.